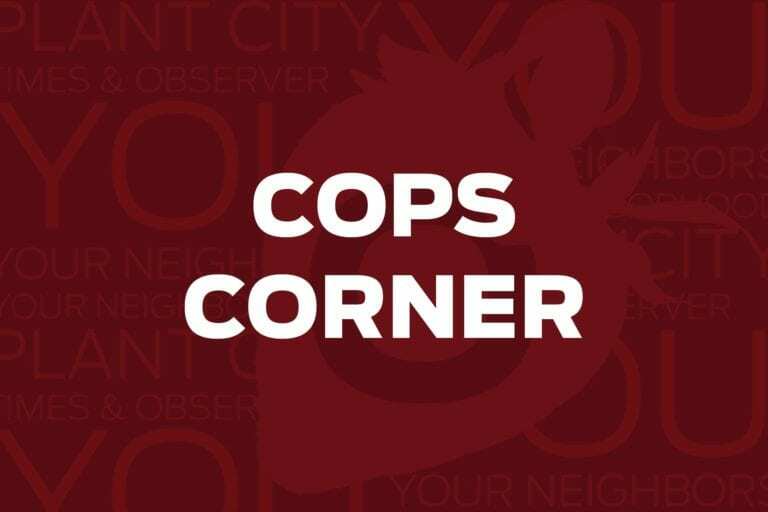 This week on Cops Corner Plant City Police investigated stolen home appliances, beer bandits and more. 800 block of E. Alabama St.
Home burglary: The complainant told officers his home was broken into while he was on vacation for two weeks. Multiple home appliances including a washer, dryer and a stove were removed from his residence while he was gone. 1700 block of S. Alexander St.
Theft/battery: This business said that after it repaired a cell phone the customer grabbed the phone and fled without paying for the repair service. 2000 block of N. Wheeler St.
Information report: Officers came out to a disturbance call and the complainant told them he had been battered by an employee. The investigation found that no battery took place, but that the complainant had attempted to kick an employee’s dog and the employee stepped between their dog and the complainant. The employee shoved the complainant to prevent the dog from being injured. 100 block of E. Alsobrook St.
Trespass arrest: This complainant told officers he was remodeling his home and one day when he was walking toward the house ha saw a shadow of someone that was inside the house. He called the police and they found a man and a woman in the residence. They were arrested for criminal trespass. Burglary: The complainant told officers someone broke into his apartment and stole two gaming consoles. 300 block of Hemlock Dr. Residential Burglary: The complainant told officers that his home had been broken into sometime between Oct. 16 and Oct. 23. During the break in his Jaguar crossbow, arrows and a bike pump were stolen. 2700 block of Thonotosassa Rd. Theft: A store manager told officers that a man came into the store, grabbed three 18-packs of Busch beer and then left without paying for the booze.